We'd been hearing that Microsoft had a new Xbox 360 holiday bundle in the works, and here we go: $299 will nab you an Elite, Lego Batman, and Pure. 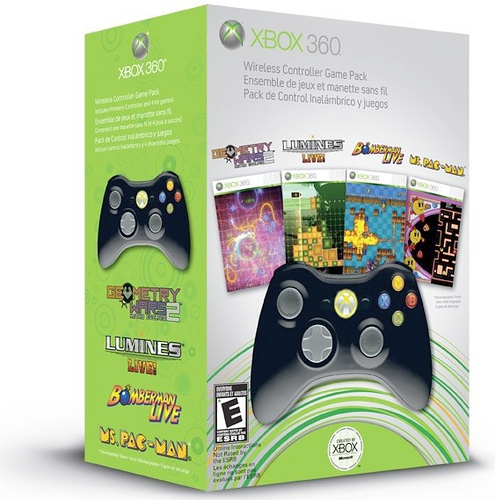 Not a bad deal -- and if you already have a 360, you can score a new controller, Geometry Wars: Retro Evolved 2, Lumines LIVE!, Bomberman LIVE! and Ms Pac-Man for another $60. The new Elite pack should be shipping to retailers today, but you'll have to wait until November to snag the controller bundle. Now if only Microsoft would see fit to bundle in some freaking WiFi, we'd be all set.